Home / Health tips / You Want to Live Healthily? Avoid these 6 Types of Unhealthy Eaters. You Want to Live Healthily? 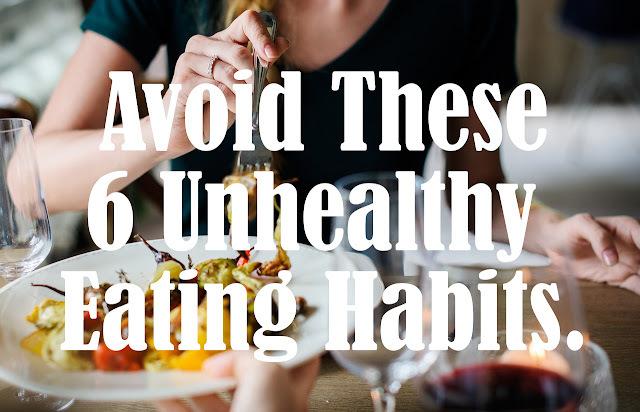 Avoid these 6 Types of Unhealthy Eaters. Do you want to lose weight? Or keep your weight healthy and always healthy? Almost every suggestion that you hear is definitely not far from the diet and good food selection. Indeed, diet is one of the factors that cause changes in body weight. There are people who rarely eat because they do not feel hungry, there are also people who are not even hungry who want to eat. Then which one are you? Or aren't they both? To find out what your diet is and what type of person, see the type of person based on their eating patterns and habits. Emotional eaters are the type of person who eats or drinks due to his unstable emotions. The desire to eat arises based on emotions or feelings, such as when he feels bored or feels sad. Almost all emotional eater tend to consume foods that contain high carbohydrates and calories, but low in other nutrients. A study states that as many as 40% of people eat when they experience stress even though they are not hungry, and 20% of these eat food that can cause obesity and overweight. Habitual eaters have eating habits and physical activities that have been done for a long time and continuously. This group consumes the same food and does the same activity every day. Of course this is bad for health because the food eaten does not vary every day. Though nutritional needs are obtained from eating various types of healthy foods. For example, someone is used to eating rice with the same portion every day. In fact, if he has grown up or entered old age, the need for carbohydrate sources will be different when they are teenagers or children. Such behavior must be changed slowly to prevent the emergence of adverse effects on health. Poor eating habits possessed by external eaters are triggered by the impulsive nature of the person. The desire to consume something arises because he sees something very delicious that seems. Or food that is formed funny and interesting can also attract and cause appetite for a moment. When a person cannot resist his desire and then this often happens, it is not impossible that he will experience an increase in body weight due to eating based on the sense of 'just hungry eyes'. The type of people who have critical eating habits are people who actually know and have information related to a good diet, a good diet, and a healthy lifestyle. But they prefer to be 'trapped' among foods that actually make them obese or even experience degenerative diseases. Or even vice versa, people who belong to critical eater actually do a strict diet that might endanger themselves and then cause a yo-yo effect on body weight. Sensual eater can be interpreted as people who will be happy if they eat food. Every time he consumes the food they like, there will be pleasure. This group is almost the same as emotional eater, but the difference is in sensual eater, the feeling that encourages him to eat is pleasure, whereas in emotional eater it is more likely to be sad or depressed. To prevent various complications that may arise due to this habit, then people who include sensual eater can be encouraged to eat foods that he likes in small portions and do not avoid that desire. Because when avoiding these desires, the possibility of cravings will accumulate and make it eat food in larger portions of food. People who belong to this type of eating habit, will usually take into account the calories he spends and the calories that enter the body. But in this group, they have a false sense of tolerance for themselves so that their eating habits are deviant and unhealthy. For example, when someone has climbed the stairs and then he thinks that he deserves to get a meal because he has burned his calories by climbing the stairs. This is of course wrong, so suggestions for groups of people who are included in energy eater are having meals and scheduled every day, and still taking into account the calories going in and out. Also. read 5 Therapy for Binge Eating Disorder.